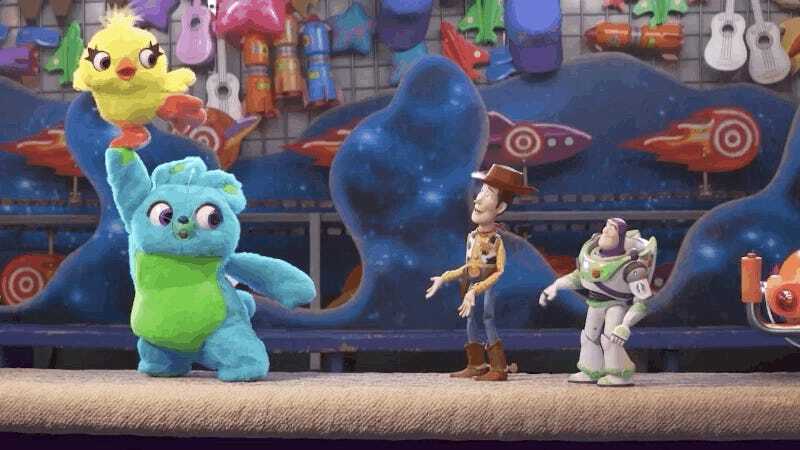 The latest Toy Story 4 teaser trailer introduces Bunny (Jordan Peele) and Ducky (Keegan Michael-Key), two stuffed animals who live at a carnival and seemingly have a meta-understanding of the fact that the Toy Story franchise exists. Not only are they familiar with Buzz Lightyear’s cheesy catchphrase, they’re also very aware that Toy Story 3 was, at one point, supposed to be the last of the Toy Story movies. Funny as Ducky and Bunny’s jabs at Buzz are, what they’re probably going to really need to be concerned about when Toy Story 4 hits theaters on June 21, 2019 is whether those rigged games are going to be enough to keep them from ever having to go home in the arms of a grubby, carnival-loving child.